Students are standing up for science across the state this month as our Texas Freedom Network Student Chapters celebrate Charles Darwin’s birthday at university campuses from Brownsville and El Paso to Houston. 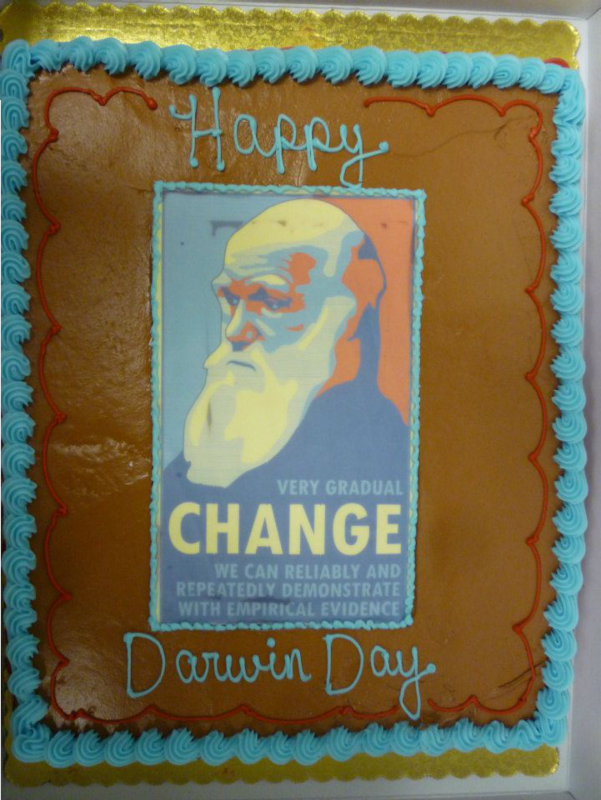 Darwin Day is Sunday, February 12, and students are using the day as an occasion to highlight the importance of teaching evolution in science classes. Next year the Texas State Board of Education will adopt science textbooks, and evolution will be a key battle in this decision. The purpose of these TFN campus events is to educate students about irresponsible efforts by politicians to dumb-down what public schools teach about evolution. This is also an opportunity to mobilize students into advocacy around science education standards. TFN believes Texas students deserve a 21st-century science education that prepares them to succeed in college and the jobs of tomorrow. During debate over new public school science standards in 2009, the Texas Freedom Network and other supporters of sound science education persuaded a majority of State Board of Education members to strip out a requirement that students learn about phony “weaknesses” of evolution. Unfortunately, far-right pressure groups succeeded in opening the door to other creationist attacks on evolution in science classrooms, so the controversial debate over how to teach evolution in Texas is not yet over. The news media is picking up on the story we broke Monday about a report for the Texas Higher Education Coordinating Board that sharply criticizes new history curriculum standards adopted by the State Board of Education (SBOE) last year. And as the controversy grows, SBOE Chairwoman Barbara Cargill, R-The Woodlands, is trying desperately to hide the truth about just how badly the state board screwed up. Unfortunately, that’s simply not true, and at least one of Cargill’s board colleagues and ideological allies — former chairwoman Gail Lowe, R-Lampasas — has admitted as much. The picture above of current Texas State Board of Education member Thomas Ratliff, R-Mt. Pleasant, pointing (sort of) at former board chair Don McCleroy, R-Bryan, is not directly related to what you’re about to read, but it will be what springs to mind when you’re done with this blog post. A few weeks ago TFN President Kathy Miller shared a dais with McLeroy for a panel discussion on the SBOE during the Texas Tribune’s Tribune Festival. That’s where McLeroy blamed the culture wars at the SBOE on his and the far right’s willingness to put personal agendas and politics above the best interests of Texas’ schoolchildren. Just kidding. McLeroy actually blamed TFN and what he called our “incendiary” language for sparking the culture wars at the SBOE. That’s right, he blamed TFN. Let that one sink in for a moment. Back in 1994 you had the rise of prominence and political clout of conservatives on the State Board of Education. That triggered a response from a lot of people that I would call secular-minded. And they were real concerned that these religious conservatives would put forth views — they would propose their own views over all others. And what happened was that you saw these people get organized. I would say they were the one’s that initiated the culture war. “Freedom” even became their middle name. The problem is they’re not right. The TFN got organized — Kathy’s group got organized, in 1995 Cecile Richards, got it organized — and they’re just not right about things. But everybody, of course, knows they’re not right. Public Schools a ‘Criminal Enterprise’! Remember when Cynthia Dunbar, then a member of the Texas State Board of Education, wrote that public schools are unconstitutional, “tyrannical” and “a subtly deceptive tool of perversion”? In the three years since then, the religious right’s campaign to undermine public education in America has become only louder. The newest tool in the right’s war on public schools is a propaganda video — “IndoctriNation: Public Schools and the Decline of Christianity in America” — from a Texas-based director who home-schools his kids. Dunbar’s rhetoric was, in some ways, even more objectionable. She didn’t just seek to undermine public education. Dunbar actually wanted to turn public schools into venues for promoting her own particular religious and ideological views, from creationist arguments in science classes to historical revisionism about the nation’s founders and the Constitution in social studies classrooms. And some members of the State Board of Education are still pushing the same agenda, which is why the 2012 elections — when all 15 state board seats are on the ballot — will be critical to the future of public education in Texas. Barbara Cargill, R-The Woodlands, is having a tough go of it to begin her tenure as the Texas State Board of Education gavel-master. But lame “blame the media” and “you were never meant to hear that” excuses from her and her supporters (including former board chairman Don McLeroy) will do little to fix the damage the new board chairwoman’s own comments have caused. We’re talking of comments from Cargill — made just days after Gov. Rick Perry appointed her as board chair — that offended her fellow board members. For instance, board member Bob Craig, R-Lubbock, did not appreciate Cargill’s suggestion there there are only “six true conservative Christians on the board.” Do a little math and it becomes clear Cargill had taken it upon herself to de-Christianize some of her fellow board members, including conservative Republicans like Craig. You see, Bob, sure she said it, but you were never meant to hear it. She thought she was just amongst friends — friends she thought would be receptive to suggestions that you and some of the other board members are not good Christians. NEWER UPDATE: The videos are again available below. Newly appointed Texas State Board of Education Chairwoman Barbara Cargill’s talk before Texas Eagle Forum activists on Thursday in Conroe (near Houston) offered more evidence that she and her board allies are more interested in promoting political agendas than ensuring that kids get a sound education in their public school classrooms. Represent “conservative voices”? In writing math curriculum standards? We were unaware that the Pythagorean theorem or equations like “2+2=4” have conservative and liberal perspectives. Gosh, that’s an interesting standard for justifying poor conduct. Would you let students get away with that one, Madam Chairwoman? Gov. Rick Perry announces his choice for SBOE chair — Barbara Cargill, R-The Woodlands. Late on a Friday just before a holiday weekend… So not only is it too late for the Senate to confirm Ms. Cargill; this announcement is also likely to escape much vetting in the media. Hmmm. It’s almost like the governor doesn’t want people to scrutinize his choice. We’ll obviously have much more to say about this next week — especially Ms. Cargill’s science credentials (here’s a tease: did you know she runs a religious “science camp” for kids in The Woodlands?). 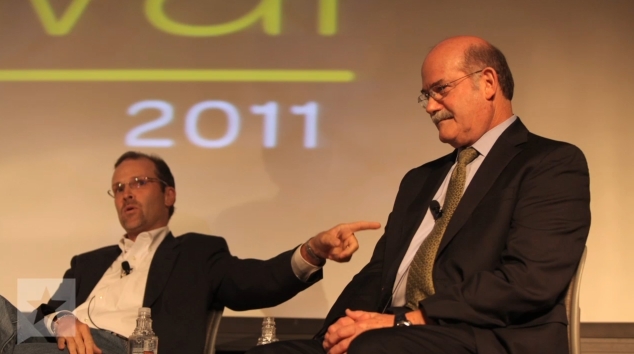 But until then, check out the history of Cargill’s run ins with TFN Insider over the years. And have a great Independence Day everyone.